Bruce Robertson helped lead Canada onto the world swimming stage in the 1970s. An active swimmer since the age of five, he joined the Canadian Dolphin Swim Club in 1969. He achieved his first major international success as a teenager in 1971 when he travelled to Leeds, England, and won the 100m butterfly at the British national championships. This distance was to become his specialty and, by the end of 1972, he was ranked number two in the world. However, the number one swimmer was a hard act to follow. At the 1972 Olympic Games in Munich, Robertson swam against American Mark Spitz, who was on his way to a record seven gold medals. Robertson finished second and added a bronze medal in the medley relay. A year later, however, it was Robertson’s turn to stand atop the victory podium. Having already been named Canada’s outstanding male swimmer for 1972, he won the 100m butterfly at the U.S. national championships before traveling to Belgrade, Yugoslavia, for the World Aquatic Championships. At these first-ever world championships, Robertson won Canada’s only gold medal (in the 100m butterfly) and led the charge for a bronze medal in the medley relay, entering the water with Canada in seventh-place and swimming his team into third over his 100m. To cap off his competitive season, Robertson shared the Norton H. Crow Award as Canada’s male athlete of the year with water skier George Athans. Robertson continued to be a leading member of Canada’s international swim team. At the 1974 Commonwealth Games in Christchurch, New Zealand, he led all Canadian athletes with six medals, including two relay gold medals, two silver and two bronze medals. He was again named Canada’s outstanding male swimmer and began the year by being made a member of the Order of Canada. The next year, Robertson came close to duplicating his World Championship medals of two years earlier but finished just off the podium with fourth place finishes in both the 100m butterfly and medley relay events. He did, however, leave the Mexico City Pan-American Games with five medals, three relay silver medals, and two individual bronze medals. Robertson continued his international career into 1976 where he represented Canada at the Montreal Olympics. He returned to Simon Fraser University after the Olympics and continued to swim in intercollegiate competition. Since his five-year run as one of the world’s top swimmers, Robertson has remained involved in international sport. He has swum at the master’s level and brought his professional experience as a chartered accountant and consultant to sport administration. Bruce’s love for sport has led him to become involved with the Commonwealth Games Association of Canada. He has been involved with Commonwealth Games Canada for almost 30 years as a member-at-large, treasurer, vice president and President of the Commonwealth Games Foundation of Canada. Presently, Bruce is Vice- President of the Commonwealth Games Federation and Ex-Officio Member of the Commonwealth Games Canada Board of Directors, having been elected at the 2003 General Assembly in Montego Bay, Jamaica and re-elected at the 2007 General Assembly in Columbo, Sri Lanka. He is also the Chair of the Commonwealth Games Federation’s Marketing Committee and Coordination Committee. In recognition of his athletic accomplishments, Bruce was named Canada’s Male Athlete of the Year in 1973 and was awarded the Order of Canada in 1974. In 1977, he was inducted into Canada’s Sports Hall of Fame. 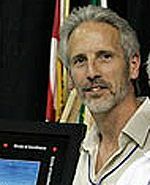 He is also a member of the Canadian Aquatic Hall of Fame, the British Columbia Hall of Fame, and the Canadian Olympic Hall of Fame.